and DECRA fellow Dr Mylene Mariette. We are seeking an outstanding, highly motivated PhD candidate to work on a new ARC Discovery project “Revisiting the ontogeny of vocal learning in birds: from neuron to fitness”. Previous work by our group has demonstrated the importance of incubation calling behaviour in programming developmental outcomes (Mariette and Buchanan Science 2016). The aims of this PhD research program are to determine how incubation behaviour may determine developmental trajectories and heat adaptation in Zebra Finches. The PhD student will work in a vibrant and productive research team testing the role of incubation behaviour for nest temperature regulation and nestling development. They will conduct behavioural assays, bioacoustics analyses, monitor environmental conditions and assess developmental outcomes for nestlings. There will be the chance to develop skills in assessing physiological condition, gene expression and hormone production. More information and application details here. The Associate Research Fellow will initiate and conduct research in the area of marine sediment and habitat dynamics.The position will join Deakin’s Marine Mapping team within the School of Life and Environmental Sciences and will bring the latest marine mapping techniques to Victoria to produce evidence-based predictions of sediment compartment dynamics. Closing date: 11 May 2018. Please click here and here to access the full position description and application package. Overview: As key ecosystem engineers, seagrasses provide a range of important ecosystem services including nutrient cycling, carbon sequestration, coastal protection, and providing a structurally complex habitat to a variety of vertebrate and invertebrate species. Given these important roles, there has been increasing concern about the rapid declines seagrass populations are now experiencing globally. In Western Port (South Eastern Australia), seagrass represents a major marine habitat, however, there has been significant loss of meadows over the last 40-50 years. Efforts to improve water quality and sediment loads in the 1990s and 2000s has seen improvements in the overall condition and extent of seagrass meadows in some parts of the bay, however, natural recovery has been slow and some areas have shown no sign of recovery despite improved water quality. Potential reasons for the lack of recovery in these areas may be the absence of seed banks or propagule supply, or that the local environmental conditions are no longer suitable (e.g. there may have been a change in sedimentary conditions). Rehabilitation and restoration of seagrass through seeds and/or transplant units, provides a mechanism to facilitate reestablishment in areas where natural recovery has not occurred and assist more rapid recovery in areas where natural recovery is occurring slowly. Proposed research project: This project will develop restoration and recovery methodology for intertidal seagrass meadows in Western Port. The program will use a combination of field based trials and mesocosm experiments based at the Queenscliff marine research station to develop the appropriate methodologies needed for seagrass habitat restoration in Western Port. The candidate should have a strong academic background in ecological theory, GIS and experience in field ecology. They will need to demonstrate strong writing and quantitative analysis skills and be highly self-motivated. The project is funded for three years; the successful student will be competitive for, and encouraged to apply for, additional internal and external funding sources. 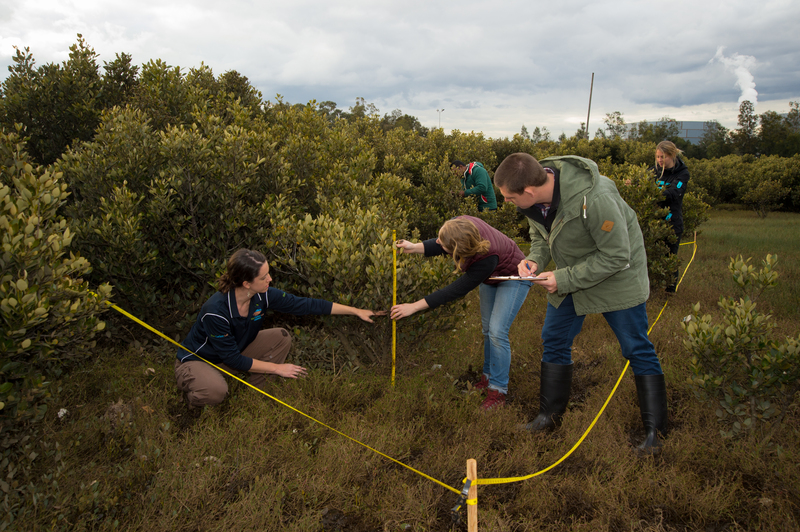 Interested applicants are asked to complete and send the HDR expression of interest form to Craig Sherman (craig.sherman@deakin.edu.au) by 15 April. Successful candidates will then be invited to proceed with a formal application. Please click here to access the expression of interest form. Exciting PhD opportunities with Deakin University and The University of Melbourne, Australia. Along the shorelines of South-eastern Australia, there is concern that a lack of sediment supply, rising sea level and climate change will impact sediment circulation patterns, leading to the destabilization of nearshore-beach-dune systems through erosion, overwash, and backshore transgression. We aim to explore the fundamental interconnectedness that drives shoreline change in Victoria, Australia. Despite the acknowledgment of coastal sediment dynamics being critical to sustainable management knowledge of shoreline behaviour and sediment movement is limited. The determination of sediment volume, type, quantity (i.e. extent and thickness) and morphology will be important to better understand the coastal sediment budgets and shoreline evolution. As a result the Victorian Government, though the Department of Environment, Land, Water & Planning has formed a partnership with Deakin University and The University of Melbourne to develop the Victorian Coastal Monitoring Program. The aim of this program is to develop predictive models of future shoreline behaviour through understanding sediment dynamics derived from the latest innovative technologies from multibeam and subbottom sonar mapping, citizen-science UAV/Drones and disciplines including remote sensing, marine sedimentology and habitat mapping. Click here or read below for further information. The project will include seagoing and shore based sampling and make use of a variety of data sources to investigate coastal sediment dynamics. The project will develop novel methods to characterise seafloor substrate and habitat based on high-resolution remotely sensed data to better understand sediment sources and sinks to inform coastal evolution. Project Aim: The aim of this project is to develop novel approaches to habitat characterisation in the marine and coastal zone using the latest advances in habitat mapping including unmanned aerial vehicles and multibeam echosounders. This project will generate a better understanding of the role of benthic flora and fauna in stabilising sediment surfaces. The project will determine the utility of novel technologies for the fine scale characterisation of geomorphological complexity and community structure in the littoral and sublittoral zone. The project will fill important knowledge gaps regarding sediment source and sinks in forecasting shoreline change. The project will include seagoing and shore based sampling and make use of a variety of data sources to investigate coastal sediment dynamics. The project will focus on the sedimentology, micropalaeontology, and mineralogy of the shoreline of Victoria, Australia, in order to quantify the connectiveness between sediment compartments in order to understand past and future coastal dynamics. We seek two outstanding, highly motivated PhD candidates to work on the ARC Discovery project ‘Genomic diversity, tolerance and ecology of wildlife disease’ with Professors Andy Bennett and Soren Alexandersen (Deakin and GCEID), Dr Matt Berg (Deakin) and Professor Scott Edwards (Harvard). Please click here for the full project and application details. The students will be based at Deakin University, Geelong (near Melbourne, Australia) in a research group in the Centre for Integrative Ecology (CIE) and the Geelong Centre for Emerging Infectious Diseases (GCEID) with opportunities for travel to Scott Edward’s lab at Harvard USA. The research project will commence in January 2018 and students need to start by July 2018, preferably earlier. PhD-1 This will be focussed on molecular analyses, genomics and associated bioinformatics of both the host and the virus but will also involve field work (to assist with sample collection). The main objectives of this project is to test the role of genetic diversity and genotype rarity in infection, infer the roles of selection and candidate genes, and conduct phylogenetic analyses. The project will be based in Deakin’s CIE, with additional training provided by GCEID and at Harvard University. PhD-2 This will focus on field ecology and pathology/immunology, with training provided in the CIE and GCEID. The objectives are to investigate the pathological and fitness effects of BFDV infection in rosellas, and to combine these data with quantification of infection levels to evaluate the contributions of resistance and tolerance mechanisms to infection dynamics in this system. Please click here for full project details and the application process. This project will: 1) employ field techniques to estimate and monitor wave and erosion reduction through vegetated coastal ecosystems, and 2) incorporate remote sensing and land use data to quantify and map the avoided erosion and storm surge reduction services of these ecosystems in south eastern Australia. This project will provide key information for industry project partners and coastal zone managers in coastal risk assessment and management in south eastern Australia. Supervisory team: The project is supervised by academics from Deakin University (A/Prof. Peter Macreadie, Dr Clare Duncan, Dr Paul Carnell, A/Prof. Daniel Ierodiaconou, and Dr Emily Nicholson). 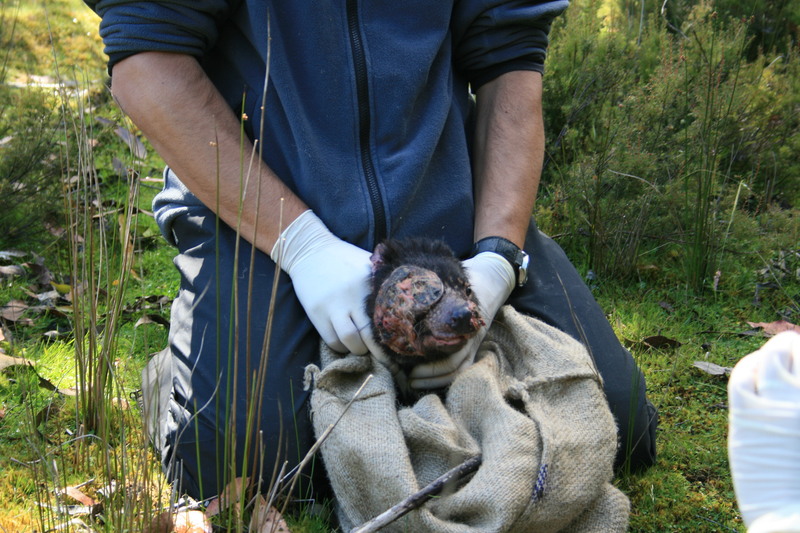 University of Tasmania is urgently looking for a PhD student to work on the diseases ecology and epidemiology of Tasmanian devil facial tumour disease. The student will be based in Tasmania at the University of Tasmania, and will be supervised by Dr Rodrigo Hamede. The student will receive a 3 year PhD stipend, and if it’s an international student, then the offer comes with a tuition fee waiver, so no costs for the candidate. They are looking for an outstanding candidate who is keen on doing fieldwork and ready to work with this iconic species. For full details on this position CLICK HERE. If you are or know a potential candidate, please pass on the details to her/him and ask the student to get in touch directly with Dr Rodrigo Hamede. Nature Campaign Manager – Lead the development and implementation of ACF’s nature protection campaigns based on ACF’s change strategy with a passionate and dedicated team! The Australian Conservation Foundation is Australia’s national environment organisation – over 350,000 people creating a world where forests, rivers, people and wildlife thrive. We love and protect the web of life right across our continent, from the Kimberley to the Reef, the reef down the Great Dividing Range to Tasmania’s forests. The Nature Campaign Manager leads the development and implementation of ACF’s nature protection campaigns based on ACF’s change strategy and integrates advocacy, supporter organising and engagement, and public communication. You’ll lead a national team designs and implements campaigns that address the systemic drivers of species extinction, habitat loss, fragmentation, over-exploitation and ineffective management. Addressing these systemic drivers often requires strategic collaborations with traditional owners to advance culturally appropriate conservation and economic development. Interested in more information on how to apply? Click HERE.